Vega Sicilia's Unico has been one of my absolute favourite classic stars expressing a tremendous capacity to evolve over time. This unfolds in the glass offering beautiful tertiary aromatics, managing at the same time to retain a solid core of primary fruitiness. It is beyond any doubt that Unico clearly rewards cellaring yet during a sixteen vintages vertical in Athens few months ago, I was impressed as well by both the current 2005 release which sings of greatness and the previous release of 2007. These two examples showcase that Unico has possibly started to become approachable at an earlier stage. A couple of nights ago I tried the 1982 vintage together with a dear friend. Ideally we would prefer to taste it blind alongside a fine Bordeaux of the same vintage; I am sure the comparison would raise some eyebrows there! It was a stunning Unico so I thought of adding the tasting note along the other sixteen vintages. 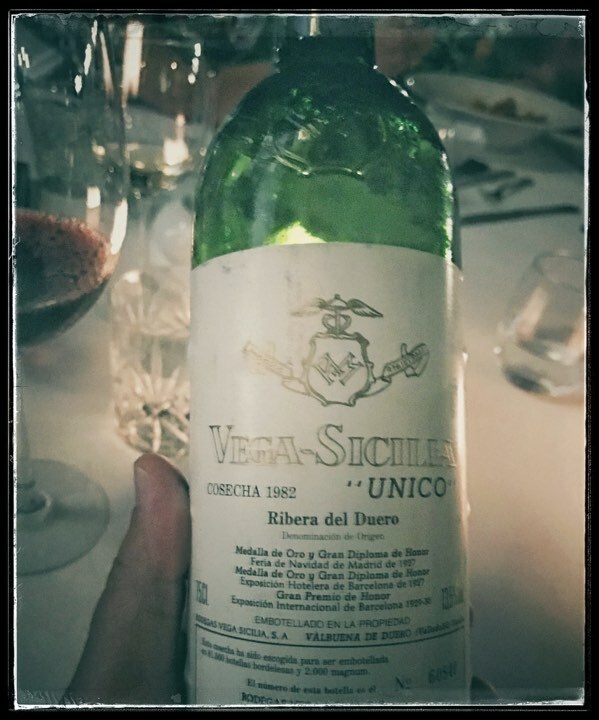 You can read more about the 1953-2007 tasting by clicking Vega Sicilia Unico, A night to remember.